The rapid transition to ecommerce platforms by businesses today implies that B2B solutions are high in demand for commercial development. 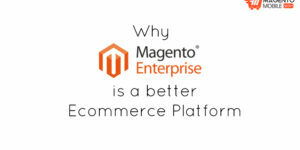 Magento has become a preferred platform for businesses due to being inexpensive and functional. 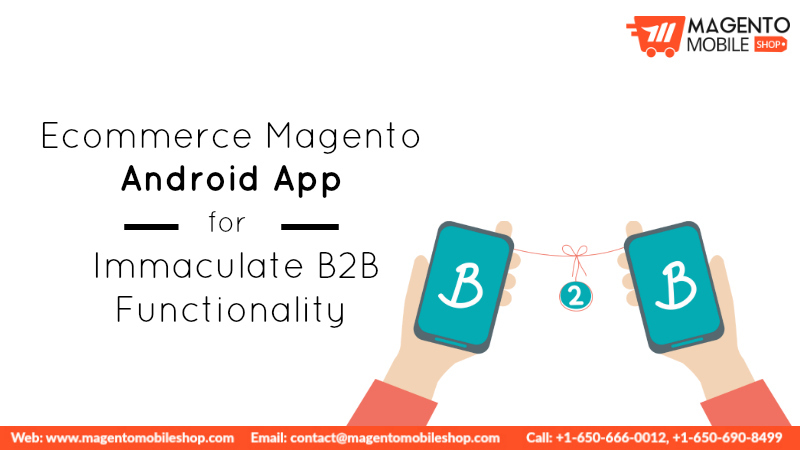 Ecommerce Magento Android App has thus, become crucial to obtain immaculate B2B Functionality. 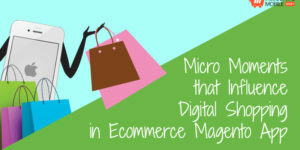 Magento, as an ecommerce platform is widespread when it comes to functionality. Ideally it was a B2C platform, but now it has all the B2B features which makes it a comprehensive solution. 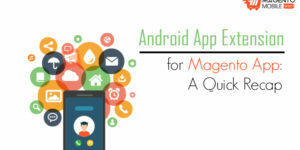 With Magento Android App Extension, one can make application for its Android users. Along with a series of more complex and useful features, the pricing remains flexible and affordable for many ecommerce business owners to benefit from. Since many ecommerce businesses need extremely precise features such as individual/group discounts, prices, inventory, etc., they get more privilege in enjoying a solution that offers it all. Coming back to the user privilege, Ecommerce Magento Android App is great at segmentation and identifying possible users. It also offers customer/guest login, which is a helpful way to ensure that people can buy even if they don’t want to register. Segmentation on the other hand allows serving individual customers better. For example, priority of order processing, shipping terms etc. B2B part allows for multiple sales at the same time. For instance, the app itself can be handled from the backend to manage the push notifications, SMS etc. 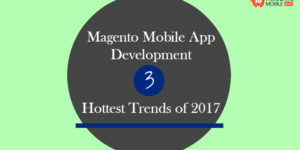 Also, the Magento Mobile App Development lays the foundation for a breezy navigation. Navigation and search elements are very crucial for B2B, which is coincidentally an intuitive part as well. The ecommerce store owners also can easily handle bulk orders and process them easily. Product items can have additional properties such as textures, stock, color, size etc. These properties can be very easily managed from backend in the app for bulk orders. Moreover, customers get to cancel or re-order their purchases, which is an additional benefit to the ecommerce store owner. This functionality allows for the customers to come back and shop as they please. Apart from this, flexible checkout process makes it easy for the guest and registered users to complete their purchases without feeling any pressure. 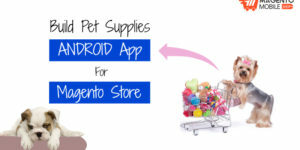 Also, Ecommerce Magento Android App can be easily customized as needed. So, if you want to have leverage over your customers, you can get a tailored app as per the desired features. Before we sum up the benefits of having this ecommerce platform, let’s not forget the feasibility of having an app that works on multiple devices with different screen size. This way, you get to approach to more versatile audience with different devices. 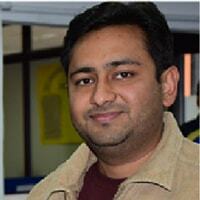 In conclusion, Magento is an exceptional solution that serves B2B and B2C functionalities. It also makes use of additional functionalities by including third-party extensions which helps in building an all-inclusive mobile app. Submit your app request today to unlock the benefits of this magnificent platform!